If you’re dating a widower, you may question if he’s ready for a relationship. Thankfully, you have nothing to worry about as long as you see these seven signs. While you may have some trepidation about dating a widower, there’s one really good thing about them as potential mates. If the man you’re dating had a good marriage, he’ll probably want to marry again. Most widowers seek love again more quickly than widows, usually after one year vs. as long as five years on average for women. On the other hand, there are a number of serious concerns. That’s why you want to know if he’s ready for a new relationship or just filling time and feeling lonely. The last thing you want to do is “help” him get over his deceased wife. This is misguided because what you are really doing is ignoring the obvious fact that he’s not ready for the real thing with you. All your good intentions will simply lead to heartbreak if that’s the case. Don’t make excuses for the widower you’re dating. If he exhibits signs that he’s not ready, and you are serious about finding lasting love, then you are barking up the wrong tree as the saying goes. Don’t do this to yourself! You are better off leaving and starting over with a new man who is ready. Nothing is worse than hanging in there waiting for some guy to get over his wife, thinking “if only he could focus on how good we are together.” If he could, he would. What are the signs to watch for? If you are enjoying a widower’s company and see these seven signs, he’s probably ready for the lasting love you want. 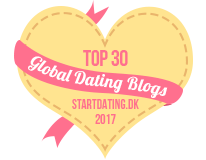 1.It’s Been a Year – Most widowers will start getting back out there to date and hopefully find a new partner after about a year. This is the average period of grieving for most men. And statistically, these men are the most likely to marry again. Yay! If it’s only been a few months, it doesn’t matter what a great guy he is – he’s NOT READY! Stay clear if you don’t want to be disappointed. 2. His Actions and Words Match – When the guy you’re dating says something and then follows through, this is always a good sign. But it’s even more meaningful when you’re a dating a widower. This shows he’s ready for a relationship because a man’s actions are what matter most. This is actually true for any man you date of course. You want someone who you can count on and whose word is like gold. When you encounter a man who walks his talk, you are probably dating a man who has integrity. Some men talk a good game, but if they can’t deliver on that what’s the point? If he can’t follow through, walk away. 3. He Doesn’t Talk About Her Constantly – A widower who is not ready constantly talks about his wife. Everything brings up a memory of something special about her or an aspect he misses. You cannot win against a fond memory so don’t even try. He’s simply not ready to date you or any woman seriously. If he brings her up once in a while and doesn’t wax on for too long, that is something to be expected and hopefully isn’t hard to tolerate. Should you be offended, then he’s probably not the right man for you. If he was happily married for many years, he’s going to talk about her to some degree. 4. Only a Few Photos – It’s understandable that after many years of marriage with a woman he loved, his deceased wife will be in photos. A few here or there makes sense and is expected. However, if he’s got her picture by his bedside and all over the house, this is NOT a good sign. He’s still deep in grieving and not ready for a relationship with you. Don’t ignore this, thinking you can talk him into putting those photos away. They are a statement about where he is in his healing process which cannot be hurried, no matter how well you get along or how much he seems to like you. 5. He Pursues You Consistently – As with any man, you want to be consistently pursued. This means he calls you weekly, takes you on a date at least once a week if not more, and texts in between (if he’s a texter). This is how you know any man is genuinely interested in you. This is particularly important when dating a widower, because it would be easy to see you sporadically just to have some female company and not be alone. But if he sees you once a week to start and then picks up your time together, this can be a good sign for sure. Keep in mind, consistency builds a relationship. So, if his contact or dates are not very regular, he’s probably more casual then you think. 6. Doesn’t Fear His Family – When you are dating a widower of any age really, if he’s extremely concerned about not upsetting his family with you, he’s not ready to date. You want to be with a man who is confident in himself, his actions and his choices. A man who fears what his family will think about you or his dating, is not standing on his own two feet. Don’t think that everything will be alright once they see how great you are together. Trust me, that is not what they will think. In a case like this, the family, including children, parents or in-laws, is concerned with preserving the status quo and the loving memory of his wife. There’s no winning if there’s any competition with her ghost – you WILL lose. 7. Introduces You to Friends and Family – Another great sign of a man’s genuine interest and readiness is when he starts introducing you to the people who matter most in his life. Once you start meeting friends, and family members in particular, then you know you are on a good track. Understand that the children, especially if they are young, may take longer. And this makes perfect sense in the case of dating a widower or a man who is divorced. Most men (an women) want to know you are likely to be part of their life long-term before you meet the kids. To sum up the warning signs, if it’s been less than a year since his wife passed, he shares his ideas about your future together, but doesn’t follow through, he might not be ready. If he talks about his wife constantly, has tons of photos, is inconsistent with his attention, think twice about dating him. And, if he expresses concern about what his family might say, or doesn’t introduce you to anyone, keep in mind these are serious warning signs, letting you know dating this man who is a widower is probably not the best idea. Only he can decide when he’s healed and ready for a serious, lasting relationship with a new woman. Don’t spend your time helping him recover. This is a thankless job for as soon as a man is feeling better, he most often walks away and finds another woman to commit to. When a man is not at his best, he can’t really give you what you want. And after he recovers, you remind him of a time when he was weak. So, he moves on. You will not win as nursing him back to emotional health. Now, the good news is that a widower most often wants to be married again. He’s not phobic about commitment and likes having a woman in his life. 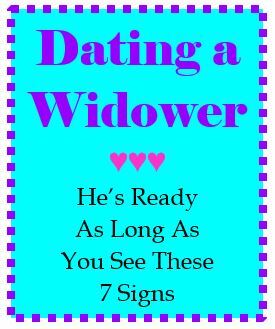 So, if you are dating a widower who is showing all the good signs outlined in this post – excellent! Enjoy this time with your new man and take things slowly to be sure you are both making good choices. There’s no need to rush, so taking your time allows you to savor every joyous moment. 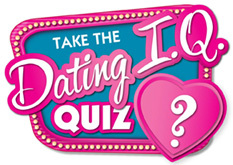 If you want more dating advice tailored to you and your circumstances, let’s chat! Schedule a free session with me and fill out the short application to discover if coaching is right for you. Hi Florence. First of all, you are not in a real relationship because you do not spend time together in person. This is strictly virtual and you are the one doing all the work. When a man stops responding – don’t keep trying. You stop too! Thankfully you have now stopped. As far as closure goes, what does that mean to you? Usually closure for a woman means having the last word and getting some kind of satisfaction of being right. Closure is a myth. You won’t get that. Instead, stop thinking about him and block his number so you never connect again. THAT IS CLOSURE! As in case closed over and out. I am in a long distance relationship with a widower for 6 months – he is currently working outside his home country. We talked everyday by voice or video calls. A month ago he came home and all of a sudden he ignores my calls and text. When I confronted him, he apologized, saying he was busy and needed to attend to many things in only 2 weeks. Now he is away again and out of blues, he won’t reply to my text, nor answer the phone calls. it’s been 3 days. He did text saying, “Baby don’t worry about me I’m fine.” He read the messages I sent. I decided to ignore him but wished he will come around as I love closure to issues. I need advice about bringing closure to this issue. Hi Carol, No, not a mistake. No reason not to leave the door open. However, do not wait around for him. Keep dating to find the love you want and deserve. And if he happens to come back and you are free – you can start up again. But at least you won’t be sitting around waiting and hoping and not looking for love – that would be a terrible waste of your time. Hello there, I was dating a widower recently. Not for very long but I liked him very much. I am 43 and he is 53. His late wife passed away over 15 months ago and he has 2 grown sons. I never saw or felt that he was consumed with grief and, of course, I would be compassionate and respectful of his late wife’s memory. Yesterday he told me that he is riddled with guilt and is not ready. I appreciated his honesty and was sensitive in my response to him. I have left the door open for him to get in touch with me, down the line. Is this a mistake? Hi Jenevah, That’s so out of the blue. Maybe he got cold feet? maybe he had rushed things. Statistically, men often start dating within one year and women can take as long as 5 years. But it’s already been 5 years for him. I wish my crystal ball was working (LOL)so I could tell you for sure. My advice is to decide how long you want to wait, but do no tell him. when you reach the end of your rope, let him know you’ve decided to move on. If he was ever planning to come back that might jar him. I sure wouldn’t wit more than three month tops. You need to live your life and my last recommendation is to start letting go. So sorry but better than after the wedding. I am/was dating a widower. I am widowed also. We both have young children. I am not quite at a year and he is almost 5 years. He pursued me. Started with 3 months of texting/messaging/phone calls before we hung out. We have since been on family vacations, adult overnights, have looked at houses, and his son (6) let it slip that he had already purchased a ring and started calling me mom. He told me constantly I was the love of his life. Everything was going fine. All of the sudden, after 8 months, he said he needed to think about his kids, had been doing some soul searching, and needed time to think about the relationship. I swear out of the blue. We we’re in deep discussions about several things but no arguments or fighting in 8 months. So I have given him time and have not pursued any additional contact. We are on day 12. I told him I loved him, would pray for him, and would be here to talk to when he was ready. I am praying that he eventually works through everything and we can reunite. But at this point I’m not holding my breath ? I have been dating a man who has been widowed for over a year now. We have been seeing one another for 3 months. It has been a whirlwind romance. I thought wow, I really hit the jackpot with this man. He has 2 young children, 3 & 6. The eldest lately keeps asking for mommy. So he went to his late wife’s cemetery & is now flooded with emotions for his late wife. When we first met I asked him if he’s sure that he’s ready because I did not want to get hurt & he assured me he was 110% ready to move on… now it seems that the other shoe dropped…he says he isn’t ready for a relationship, but would like to be friends and take it slow…I am ok with doing that, but have concerns that he may never be ready & if I should just (sadly) move on. Hi Rebecca, I can appreciate your anger but you aren’t mad at his late wife – it’s all about him. He’s not over her. Even though he loves you, his heart is filled with her, which is why you feel squeezed out. Recovering from losing a partner can take years. So you need to decide: Can I handle him keeping her alive and on a pedestal? OR is it time to find a new man? These are your only two choices. One thing I know for sure – YOU CANNOT CHANGE OR FIX HIM. Talking to a counselor may help you get the strength to leave. Hey it hasn’t even been a year. I agree you deserve to be #1, but when you put up with someone who doesn’t treat you that way, it’s all on you. You can always move on with dignity- that’s what I recommend. Yes Dave, Of course I have great compassion for the difficulty of losing a loved one and how transformative it can be. But as you explained it all so eloquently – that is the EXACT reason I recommend women walk away from a man who is not capable of considering anything but his own needs. Regardless of the reasons, that means he’s not ready. A woman looking for love is not responsible for helping a widower get through this transformation. That is all on him as it is with a widow too. You have absolutely no clue as to what a widower is going through. Your writing is totally one sided and from the perspective of a woman seeking to date, or not date, a widower. It is a life changing, transformative experience. A widower is not looking to repeat or relive the lost love of his life. He is just looking to survive, and he needs and desires the company of a loving, compassionate woman who is confident enough to engage him on his own terms. All others, please do walk away.